The head of the structure is the General Council, with its president is the Rector Major, elected amongst his confreres every six years in the General Chapter (General Assembly), and it is the centre and unity of Salesian Family and Salesians themselves. He is considered the successor of Don Bosco. Currently Fr. Ángel Fernández Artime is the 10th Rector Major. The General Council is divided into 5 departments: Formation, Youth Ministry, Social Communication, Missions and Finance/Administration. These departments are managed through General Councillor, who are responsible for the follow-up towards the provinces of these areas. The General Directorate is responsible for the overall management of the congregation. The world is divided into 7 regions (and sometimes subdivided in provincial conferences) coordinated by a Regional Councillor. 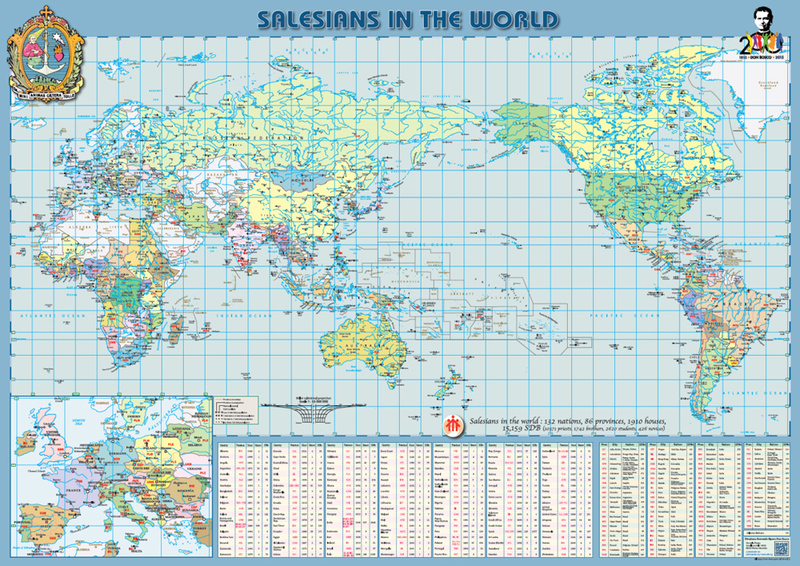 Each region is divided into a number of Salesian provinces. A Salesian province can be a state, regions within a state or a combination of (regions of) states. The head of a province is the provincial. The province has the same departments as the General Directorate. The province is divided into ‘houses’ which are usually animated by communities of SDB. The houses often host several local works. These works include schools, vocational training centres, universities, student hostels, youth clubs, sports clubs, residential youth care facilities, youth shelters, parishes, spirituality centres, etc.